We all like to enjoy the fruits of our labour and indulge in a bit of retail therapy now and again, don’t we? Well, the operative word there is therapy. It’s fair to say most people have at some point thrown caution to the wind and splashed out on something new for themselves to improve their mood. Let’s be honest, it can give us a buzz and a distraction from the mundane, particularly if we are a bit stressed or working really hard. But, when it’s happening regularly, it’s worth reconsidering your behaviour because, yes, you can be diagnosed with shopping addiction. Australians aren’t shy when it comes to their spending. Last year alone, we spent 666 billion dollars on living costs, including fashion, beauty, cars and recreational activities. 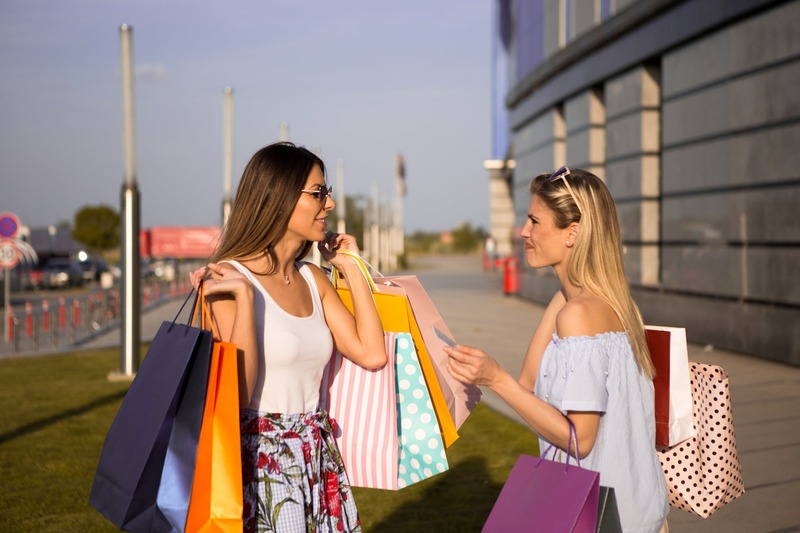 Now there’s nothing wrong with spending or feeling good about the occasional treat; that certainly doesn’t mean you’re one step away from shopping addict territory. However, in this blog, I want to highlight why buying things to feel good in the short-term might really just be ‘burning through your earnings’ and how this kind of behaviour, can impact your long-term financial goals. Mastering the art of delaying gratification can transform your relationship with money. I ask you, would you be comfortable sacrificing an immediate want for something significantly more meaningful later? Does science have a part in spending? So why do we do it? Why do we spend? Research from Stanford University found that even when you see a picture of something you might want to buy, a certain part of the brain (the dopamine receptors) is activated. This explains the feeling of genuine joy when you look through the glass windows of your favourite store, the fluttering of the heart or your eyes widening when you see the ‘sale’ sign. Without getting too ‘science-y’ on you, dopamine is a chemical in the body which is key when it comes to attention, motivation and goal-related behaviour. In essence, dopamine has the capacity to make you feel good. However, it’s how we shop which is adding fuel to the fire. The immediacy of shopping, particularly online, is cultivating a psychological wave of unnecessary purchasing. In a study on the underlying factors of impulse buying, 51% of participants revealed that ‘feeling happy’ was a trigger for those unplanned purchases. So now, with a click of a button or a tap of a credit card, you can experience that little happiness rush. Is there such a thing as ‘financial regret’? Buyers remorse. We’ve all been there. A feeling of deep regret, a knot in the stomach, floods of guilt after purchasing something we probably shouldn’t have. However, for some, it can’t be helped. According to Dr Art Markman of the University of Austin, Texas, we often don’t experience the feelings of regret until well after the purchase has been made. Linda P. Jones, a wealth expert and author of the blog ‘Wealth Heiress’ summarises buyers remorse as the opposite effect of the dopamine rush – “a physical reaction to chemical endorphins released in our body. Studies have shown that shopping gives us a rush in our brain, a high. But it only lasts a short time”. And when that rush disappears? The creeping thoughts of regret over an unnecessary purchase often kick in. So how do we go about managing it? Or even avoiding it completely? Firstly, think about your financial goals and what exactly you want out of your money. Sitting down with a financial adviser can help you identify what’s important to you in the interim and then what you might want to achieve down the track. Does travelling matter to you? Exploring the world and immersing yourself in culture? Perhaps it’s receiving the keys to your very own apartment in the heart of Sydney, or finally freeing up time to devote to a passion project. Either way, being clear on what you’re working towards will make it easier to avoid falling into temptation and spending unnecessarily. They don’t say ‘eyes on the prize’ for nothing. There’s plenty of ways you can be saving money. But the trick is consistency, to be putting regular contributions away – automatic transfers can easily be set up with your bank or financial institution, with many rewarding customers with higher interest rates when they don’t tap into their accounts or lock into a set savings period. Automation gives you peace of mind that your savings are growing steadily with little to no effort on your part. Think about it, when you can’t see it, you’re generally not going to miss it. ‘Out of sight, out of mind’ – another method of putting your money out of view and straight to work, is investing. Again, a financial adviser can take you through appropriate investment options for you and your situation. However, it’s important to note when you’re considering investing, there’s always an element of risk involved. Spend time understanding these risks and what’s involved. Are you managing your earnings effectively? At Talem Wealth, we take our clients through a very specific process to find financial freedom and this always starts with education. We spend time showing our clients how their relationship with money can change for the better, how they can still enjoy the luxuries of life without sacrificing everything (yes – it’s possible) and how to maintain healthy habits when it comes to money management. Ready to put out the fire on your unnecessary spending? If you’re keen to take your earnings to the next level and take a different approach to your finances, then speak with us today. We’d love to help.